Companies large and small are inundated with SaaS applications. Sanctioned apps help employees work. Unsanctioned apps exist in the shadows, outside of the control of IT. And when a user is compromised, it’s extremely difficult for IT and Security to identify and remediate the issue. According to Gartner, a staggering 600 to 1000 SaaS apps are in use at a typical company, yet IT only knows about and manages ~7% . The unmanaged ~93% pose very real security and compliance challenges including unauthorized access, data leakage, and violation of industry regulations. 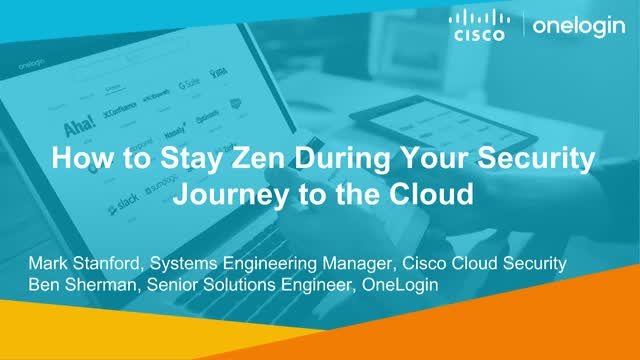 Built for the era of the cloud, Cisco Umbrella and OneLogin make it easy for users to stay safe and give IT the controls they need from google search to G-Suite.